You Need To Watch ”Ghost Bait”! 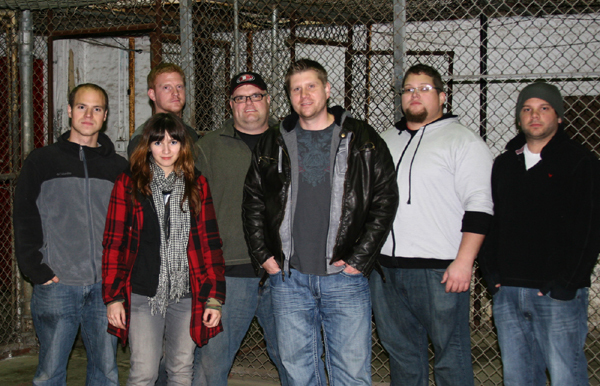 Ghost Bait is not your average paranormal show. Take one part cursed tech junkie, another guy who is terrified of his own shadow and add a strong female investigator with years of experience…and you’ve got Ghost Bait. Our beloved leader is Bob Magill. An innovative video producer turned paranormal investigator, Bob is our tech guru. Much of the equipment we carry into our investigations has been modded by Bob to give us the best chance at capturing evidence of paranormal activity. Of course, being cursed doesn’t make the job any easier but Bob struggles on to get us where we need to go with what we need to do the show. Heather Taddy is our investigative powerhouse and paranormal teacher. Calling on her years of experience, Heather shows the guys how investigations should be done and while Billiam ignores most of her teachings, Bob is an apt pupil and together they are the primary investigators at our locations. Heather is also very very very very good at figuring out ways to torture and prolong Billiam’s fears and anxiety and her glee is evident on camera so keep an eye out for that special glint in Heather’s eye as she outlines the next place to place our bait. Billiam is the third wheel of the Ghost Bait team. Dragged along to be a pack mule during set up and tear down, he’s equipped with his own Bob-ized camera rig and stuck in places in the deepest, darkest, most enclosed areas that the haunting offers. Afraid of heights, small spaces, and his own shadow, Billiam serves as the bait in Ghost Bait. Under the theory that fear and high emotions put out delicious energy for the spirits, Heather and Bob conspire to generate as much of that energy as possible without necessarily killing Billiam. So a cursed tech junkie, a skilled paranormal investigator, and a walking basket case…Go Ghost Bait!! I just watched the first episode of Ghost Bait. Well you see where I am…that show was so ridiculous and the team are just a bunch of fakes. The walk into a “haunted mansion” and later bring in their psychic medium. Ummmm, I’m pretty sure a true-blue psychic would know what they are walking into before they got there. I am going to laugh my way thru the second episode and then cancel this series from recording. You need to hire worse actors than the ones you have to make someone “pause” the recording. This show is going down in flames. I’d be real surprised to see if my comment even shows up. Whilst I enjoyed the show for what it was, however, I’m not involved in the production of it. Whilst your comment is approved, I tend to approve most comments both positive or negative, venting your citicism at the appropriate people/company behind the making of theshow will probably be more fruitfull. The show, in my opinion, is a farce. It’s shot too crisply, the investigators look like actors tor the victims who also look like actors. The house in the first program had painted black walls and red ragged curtains on the windows. Give me a break. Since when is it entreating to watch someone in a chair with a hood over their head scared to death, verified by the heart rate monitor? Are we going to see cash prizes for the person who stays in the chair the longest? No EVP’s, no shadow people. This program is a waste of digital video. The show looks like it’s cashing in on the paranormal programming craze. I’m watching the second episode even though it was hard to stomach the first. These people are like soap opera actors. It is laughable how godawfully done this is. A few episodes have been online for some time now, so I’m guessing that someone in t.v saw potential in the show. Either way, it’s good to see Heather Taddy from Paranormal State back on the box! ENOUGH OF THESE FAKE SHOWS! Every time I get excited about a new ghost show and it turns out to be yet ANOTHER overdone fake! Come ON. ROFLMAO!!! What an utter joke! The only good thing that came out of watching the first, (and my last episode), is all the laughing we did here!! I am far from an actress, however, I could have done a much, much, MUCH, better job! Heck, my dogs could have done a better job! Again, thanks for the laughs!! One more thing, DO NOT give up your day jobs, seriously. Remember that all believers used to be skeptics like you until something really big and unexplainable happened to them. What is up with that burlap bag? This show is like an SNL skit, what a waste of film! So I watched most of one of the 2019 version of this show, not knowing it’s past format. I thought the commercials looked ridiculous, but, watching the first 15 minutes I found that my initial assessment based on the commercials was woefully generous. Outside of Mountain Monsters, Killing Bigfoot, I haven’t seen such bad acting and fakery. A girl is terrified with the burlap mask on, rips it off in supposed terror. Then all of a sudden she’s like, “I’m not scared of you anymore”. So bad. Such a disservice to paranormal shows. I’ve ghost hunted in the past. It was fun, especially seeing historic places. The guys I was with were always “experiencing things”. I never did. I did see one very cool piece of footage, and tried hard to debunk it. And also some weird sounds and inexplicable answers coming through a “Frank’s Box”, but no personal experiences. Never scratched, touched, nor see so called “shadow people”. I think that’s all in people’s head. So I remain skeptical, but fakes like this really irritate me. I like to debunk when possible, but, I prefer real explanations other than hoaxes. Grrrr….